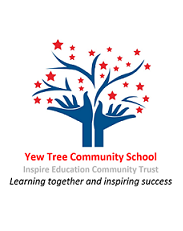 Yew Tree Community School is a successful community primary school, judged by Ofsted to be good with outstanding features in May 2015. Ofsted stated in their report that, “Writing is taught exceptionally well throughout the school”. The school is set in an area of high deprivation. Most pupils come from homes in which English is spoken as an additional language. The Talk for Writing approach to the teaching of literacy has enabled the children at Yew Tree to successfully develop as learners. It has given children the confidence to express themselves orally and in writing. By systematically applying the Talk for Writing approach to the teaching of literacy, attainment in writing at the end of KS2 has risen year on year from 55% at level 4 and 11% at level 5 in 2011 to 92% level four; with 42% achieving level 5, and 10% level 6 last year, above national expectations. We have a determined and dedicated team of staff; their drive and passion has led to the Talk for Writing approach being systematically implemented across the whole school. 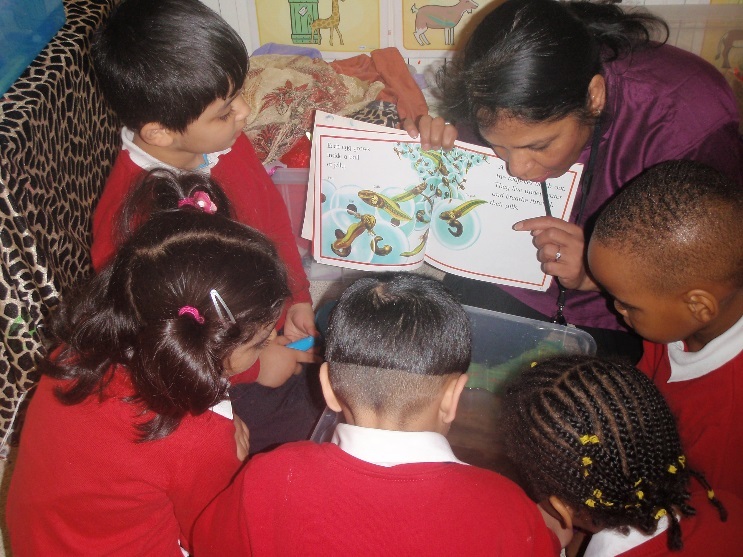 In our school we have embedded an ethos which promotes a love of stories. We bring stories to life through oral retelling which enhances the speaking and listening skills of children, especially those who struggle with confidence issues or speaking in English. However, it does not stop there! Children regularly perform stories, poems and productions to other year groups and their parents. As well as this, we celebrate children’s success by providing many opportunities for them to read their final written pieces to their parents, peers or other children. We have a consistent approach to writing across the school, with all year groups learning to write using the Talk for Writing process. 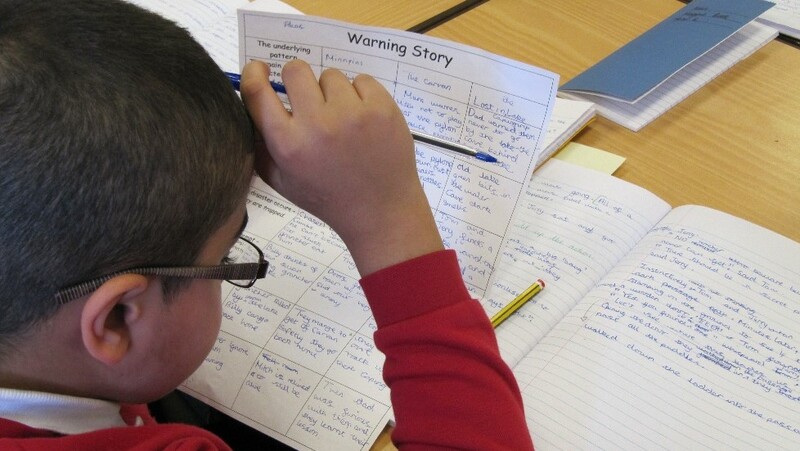 In classrooms you will see the Talk for Writing processes such as text maps, hand actions for connectives, “magpie” word banks and vocabulary books; alongside shared writing and box-it-up grids relevant to the genre being taught. You will hear rich language being used in a variety of contexts including oral re-tellings, role play, hot seating and language warm up games. In all books, the process of Talk for Writing is evident across all genres including annotation of the model text; text maps; the five-part planning process, and carefully supported writing leading to independent pieces of work, all at a high standard. Yew Tree Community School, Yew Tree Road, Birmingham B6 6RX. We are situated very close to the grounds of Aston Villa F.C. Nearest train station: Witton (Aston is walking distance too).